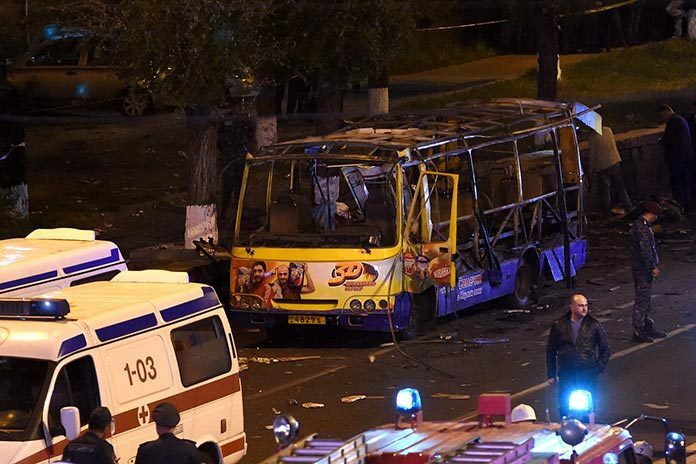 Armenian President Serzh Sargsyan has ordered the Police to tighten security after an explosion on a bus in Yerevan reportedly killed two passengers and wounded seven others in a late night incident. Vladimir Hakobyan, a spokesman for the head of state, said Sargsyan was being “systematically updated” on the course of rescue and investigative activities after the blast that caused a great resonance in society. According to the Ministry of Emergency Situations, the explosion on bus N63 occurred at about 10 p.m. on Halabyan Street, which is in Yerevan’s southwestern Ajapnyak district. The cause of the explosion was not immediately reported as official services said efforts by crime experts and other specialists were underway to determine the cause. It was confirmed, however, that the bus worked on diesel fuel and not liquefied natural gas that had caused explosions on means of transportation before. 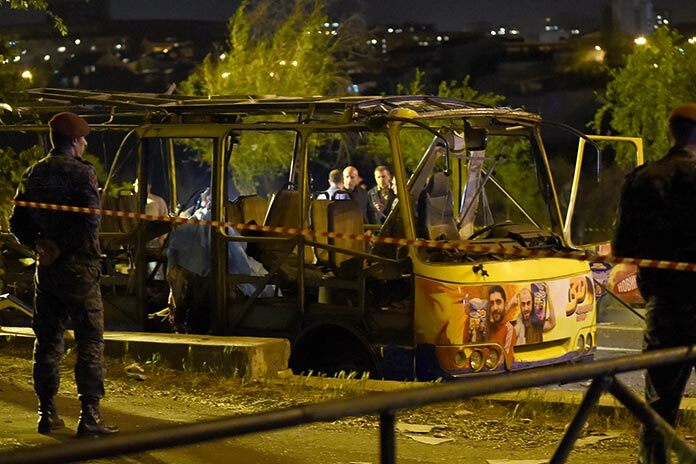 Chief of Armenia’s Police Vladimir Gasparyan later told media that an explosive had blasted in the right side of the bus, near the second seat. He said it was not a fragmentation explosion, neither confirmed nor denied the version of an act of terrorism. Meanwhile, the authorities released the names of those who were injured in the blast. Two of the passengers are boys aged 14 and 15. The two received particularly serious injuries and underwent prompt surgeries at a nearby medical center. Among those injured was also a pregnant woman. Doctors said neither she nor her yet unborn child were in danger. The two killed people were not immediately identified.